RONALD ACCEPTS THE DARE | McServed: Getting Served McDonalds Fast Food Funnies, Laughs and More! Pictures, Ronaldstags: challenge, dare, point break, scary. He looks like one of the ex-Presidents that robbed the banks in Point Break. I am a FBI Agent Bohdi! 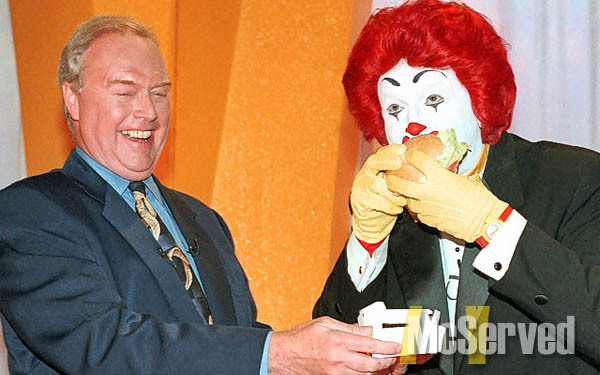 What a horrible photograph for PR for McDonalds, soooo very sad! GO RONALD GO! CHUG! CHUG!